Headphones greatly affect the quality of sound produced once you plug them in. That is why you should go for the best earphones that will provide you with a great listening experience. Here are some top tips to help you in your quest to buy new headphones. Consider whether you would like to block out noises. It could be that you are travelling and you want some peace and quiet, for instance, when you are on the plane or on the subway. You could also be working and need to concentrate. This requires that you specifically go for noise cancellation headsets. If you do not want the inconvenience of being tethered to your headphones all the time, consider going wireless. These headphones might use Bluetooth to connect to the source of sound. Such headphones are great when you are travelling and you do not want to be inconvenienced by wires. Even though the use of wireless headphones can compress the sound, which is a disadvantage, newer models do a better job at this and produce better quality sound. 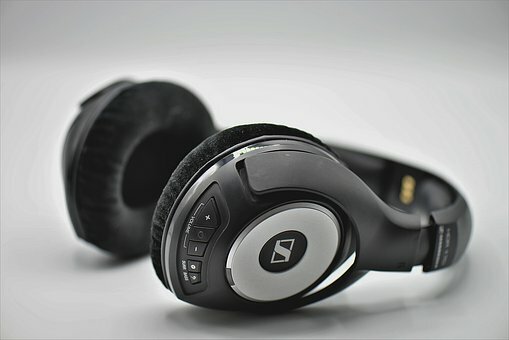 Go for this option if getting high quality sound is not exactly your main goal when using the headphones. Brand might not be such a big deal. Most major brands whose devices have scientific backing tend to be quite expensive. As great as these devices are, you can easily find cheaper headphones. There are over-ear headphones (under $100) that you can buy if you are on a tight budget. Be willing to explore less known brands and you can be sure to land a good deal. Check if the headphones are open backed or close backed. Open backed headphones provide better sound quality. However, you will be able to hear lots of noises that are going on around you. The people around you will also be able to hear what you are listening to. Since they are more comfortable, they are best used at home. Closed earphones tend to produce sound that sounds as if it is in your head as they isolate noise better. However, they are not that comfortable. But if you prefer booming base and sound isolation, then closed headphones are your best option. Before you buy any headphones, it is best that you test them out first. If you know anyone who has similar headphones to the ones that you want to purchase, borrow them and give them a try to see if you like them. Alternatively, you can go to a shop that sells such devices and then find the headphones that you need and try them out. This is one of the most foolproof ways to know that you will like what you buy. The other option is to check out what other people say about the headphones. Lots of positive reviews are a good sign but negative reviews are not a good sign.